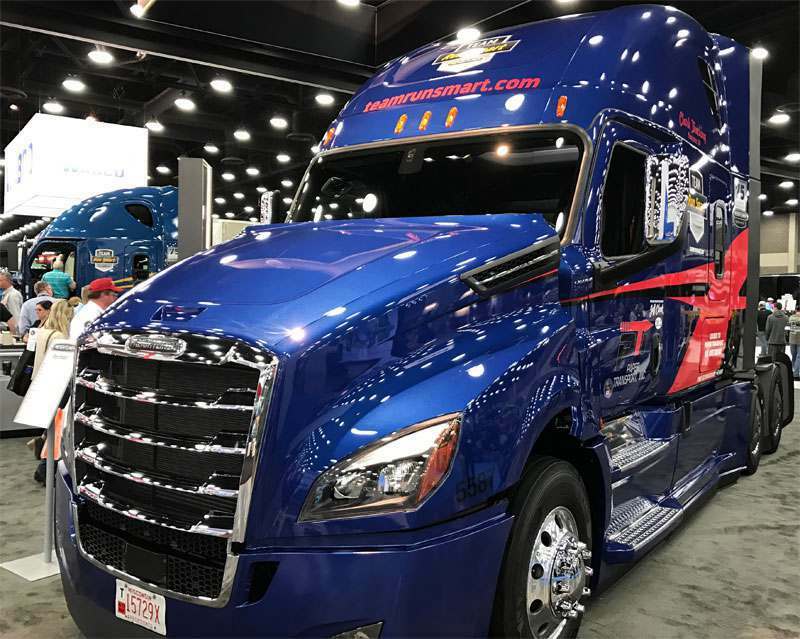 NCL first saw the New Cascadia in real life at the Louisville, KY trucking show in 2017 and we were amazed! Aero-X Package, Detroit Assurance with Lane Departure Warning, Detroit Connect Virtual Technician, Driver Loft with Murphy Bed, eVault, Flat Screen TV Mount, Instrument Cluster with 5" TFT Screen, Premium Interior Insulation, Premium LED Cab and Sleeper Lighting, Pre-Trip Exterior Bulb Inspection, Slate Gray Interior with Premium Driver and Passenger Seats. 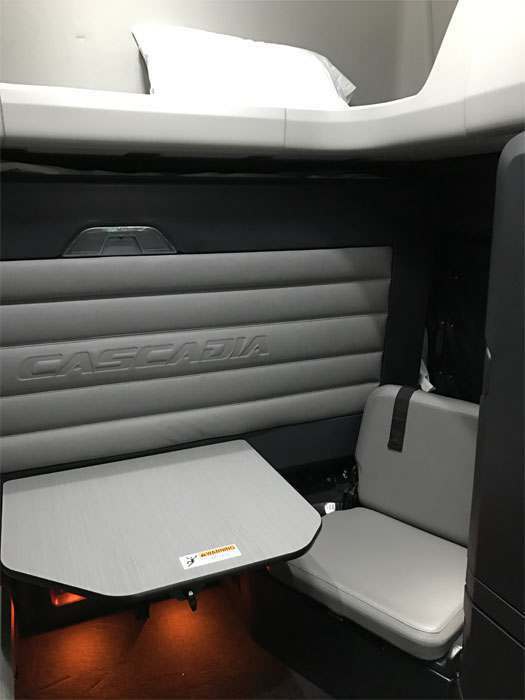 Lot's of space, redesigned cabinets with rubber seals, all-new workstation (possibly better than VNL780), built-in bed with mattress that easily transforms to table. 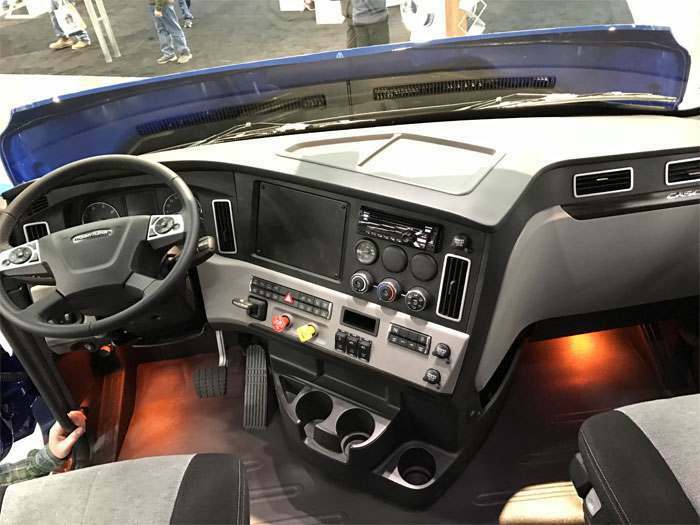 One-piece windshield unlike previous models. Disc brakes. 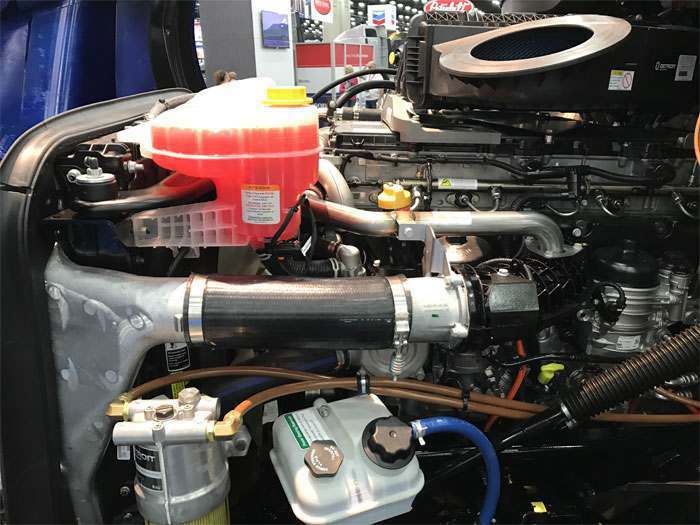 Very impressive work by Freightliner! Check back with NCL Truck Sales Inc later this year. We might have the first units for sale then.